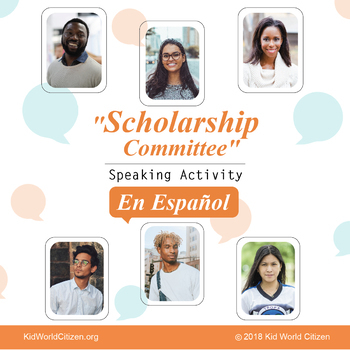 Spanish Speaking Activity in Groups: "Who should win the scholarship?" My students love these speaking activities!!!! They are a great way to practice speaking, listening, communication, and stating their opinions. This communicative activity is in SPANISH, and works well with Spanish 3, 4, and AP (who have already been exposed to subjunctive). 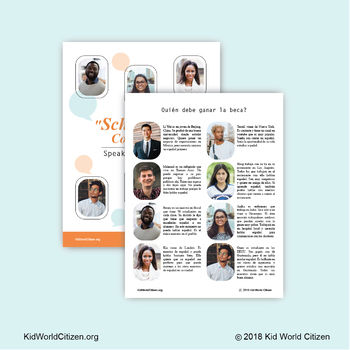 First, students should read the profiles of the 8 international students. They need to decide which TWO candidates will win the scholarship award to study Spanish at a Latin American university. The scholarship will include the classes, books, food, and accommodation. Students should give reasons to their group why their choices are the best candidates.